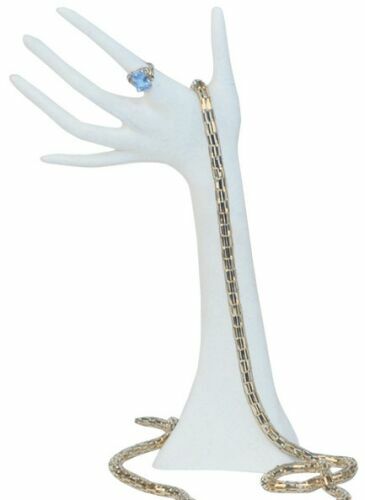 Freestanding or laying down elegant hand is an eye catching ring and bracelet display. 6"W x 13"High. Made of polystyrene. 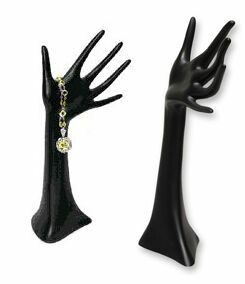 Price: $13.00ea Item #: JDH14 Colors: black, white.